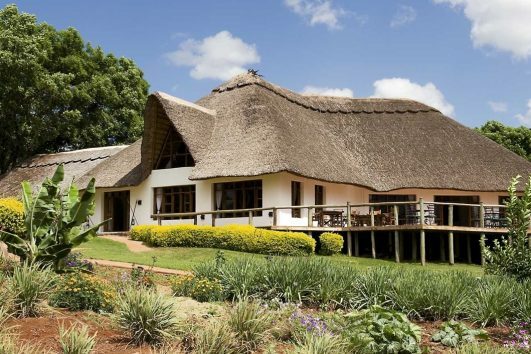 Strategically located in Seronera area in the Central Serengeti and set in a small range of hills that run north from the central, Seronera River valley, Serengeti Kati Kati Tented Camp is a nice mid-range tented camp that caters mostly for drive in clients. However with a fight from Arusha or Zanzibar our Tanzania Safari guide can leave one day before from Arusha to meet you the next day when you start your safari. We call it an empty run by the driver, and by booking a flight for you we can facilitate for you that Fly-in safari while staying at Serengeti Kati Kati Camp. 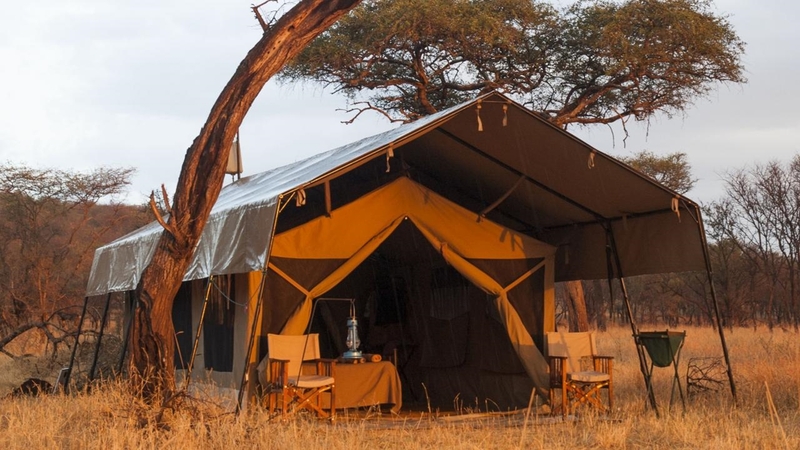 The camp is a well placed camp and it offers a simple experience right in the heart of the most famous park in Tanzania and world over; The Serengeti National Park. 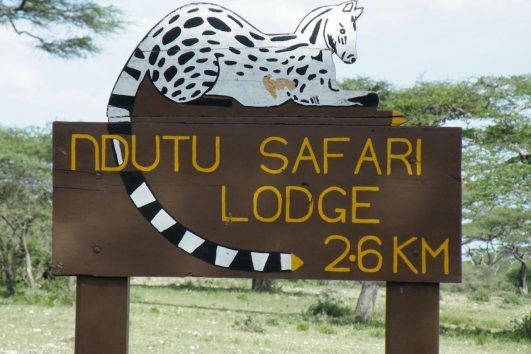 No doubt about it, that this region can become busy in the main season; Peak season from June to September but still the camp really allows for the budget to be kept to the manageable levels and so is somewhere that we at Tanzania Safari Supremacy do recommend in the months ranging from March to June and there after November to January when the area is abuzz with wildlife activity due to the presence of the wildebeests migration herds. 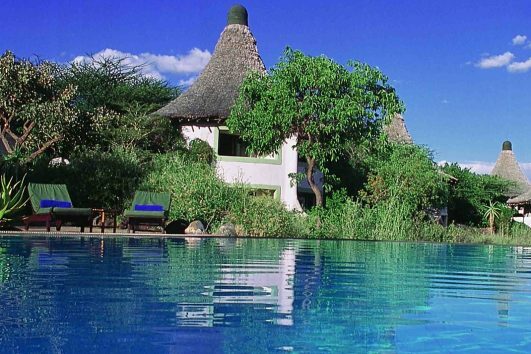 Just as mentioned above, this semi – luxury, Permanent tented camp is located right in the heart of the wildlife rich Seronera. The fact one may not realize but it comprises of about 4 camp sites all of the same camp name and the allocation is solely at the discretion and choice of the Management of the Camp at Tanganyika Wilderness Camps. All in all it doesn’t matter which campsite you will be allocated, they are all similar and are at great locations. 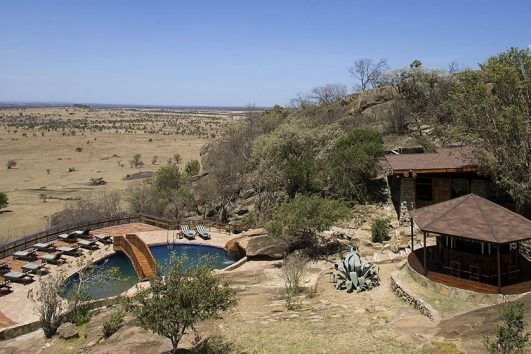 Being located hidden on the slopes of a range of hills in the Seronera region, all of the camps offer great views out over the endless plains of the Serengeti and herds beyond in season. NB- It is important to note that recently starting the year 2017 the camp has started operating a mobile at the Kogatende area at the same price and the name now changes to Mara Kati Kati Camp after the name Mara River. The Camp is a fairly ‘standard camp’ as far as the layout is concerned and the tents are located uniformly from the other in a row form. This may not really give a great sense of privacy, but nonetheless the tents are located a good distance from each other and therefore you will still feel the privacy when you are in your room. 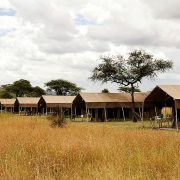 The camp’s location and layout allows wildlife to wander freely, something that makes the experience even better. 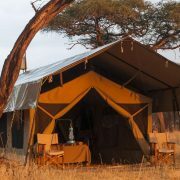 As explained this is a nice mid range camp and the Tents are the typical private canvass tented rooms with real bedding and beds, a private en suite bathrooms and flushing toilets. 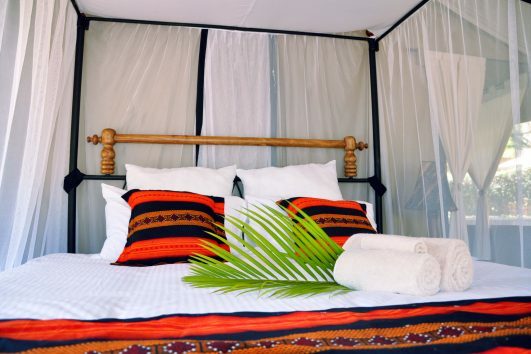 The tents have nice serene verandas from which you can decide to relax in a fine afternoon and watch the roaming wildlife from the comfort of your veranda. In short it is a comfortable camp. As mentioned above the Seronera River Valley is famous for a big concentration of wildlife in the whole of Serengeti and, as such, the main activity here is game driving, or game viewing if you wish to call it so. 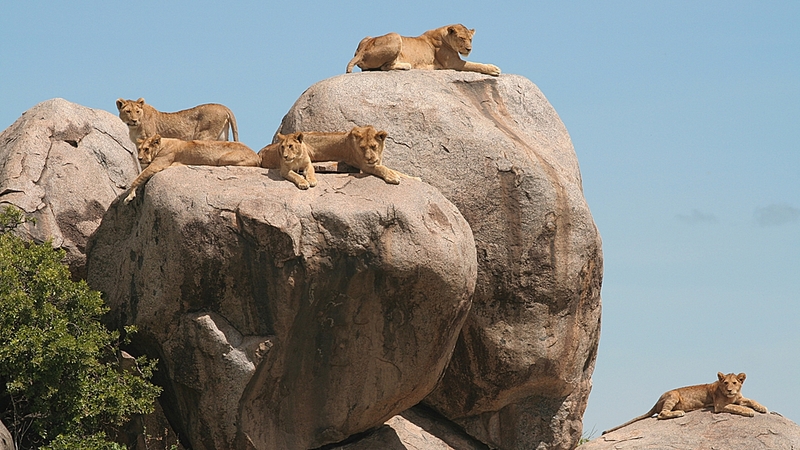 Several Kopjes (large granite boulders) dot the horizon to the south of camp and this definitely a favorite stalking and hunting ground for big cats including the lions and leopards. 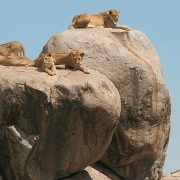 Let us arrange your next safari in Tanzania staying at the Serengeti Kati Kati Tented Camp.